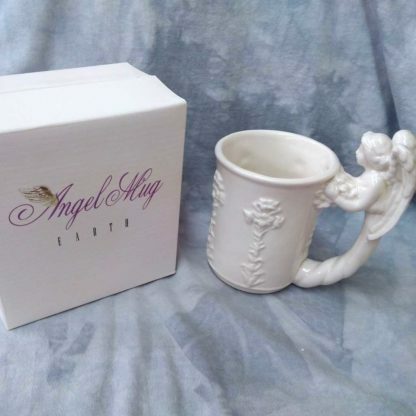 Drawn from the Italian Renaissance images, the Earth Angel Mug™ celebrates the beauty of Earth and its cycles. Embracing life and its mysteries, the Earth Angel’s stately presence calls to mind the Serenity and Grace of life. 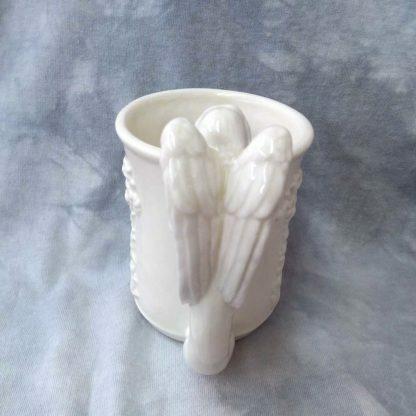 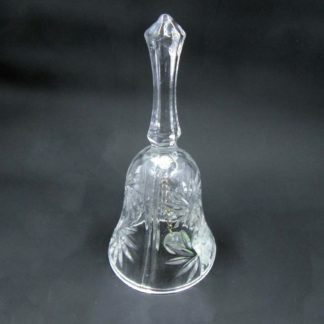 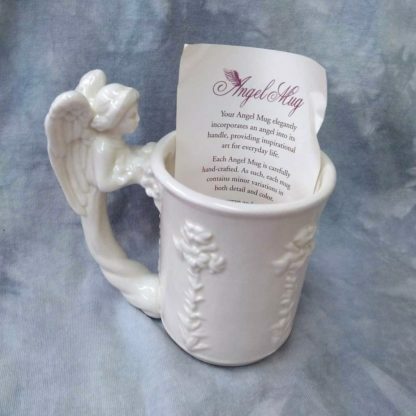 Your angel mug elegantly incorporates an angel into its handle, providing inspirational art for everyday life. Each Angel mug is carefully handcrafted. 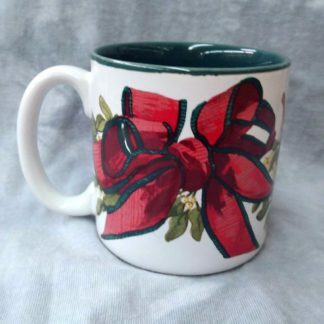 As such, each mug contains minor variations in both detail and color. 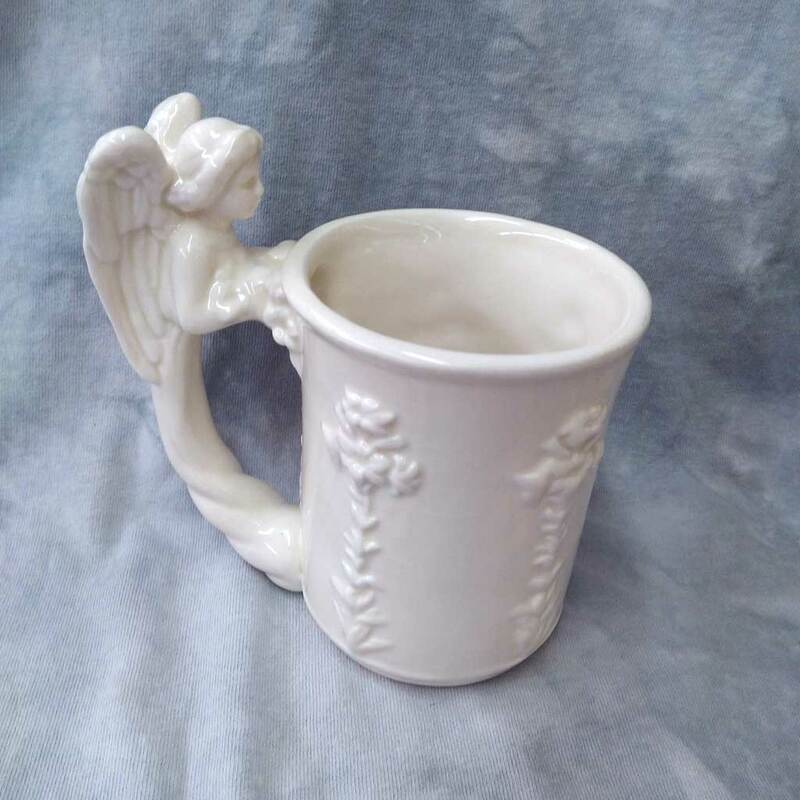 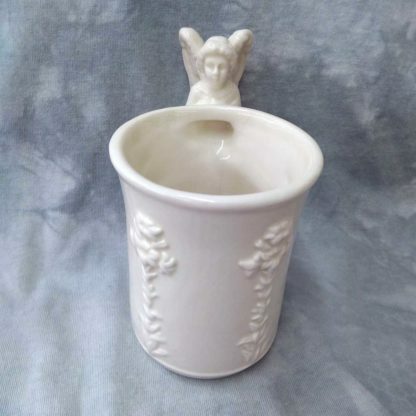 To preserve and protect the details of your angel mug, we recommend hand-washing. 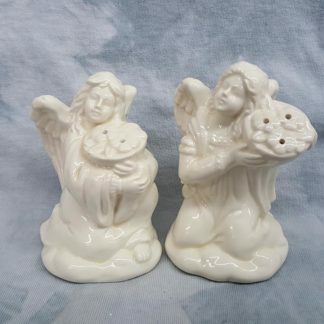 Please take care to avoid mishaps that could cause chipping. 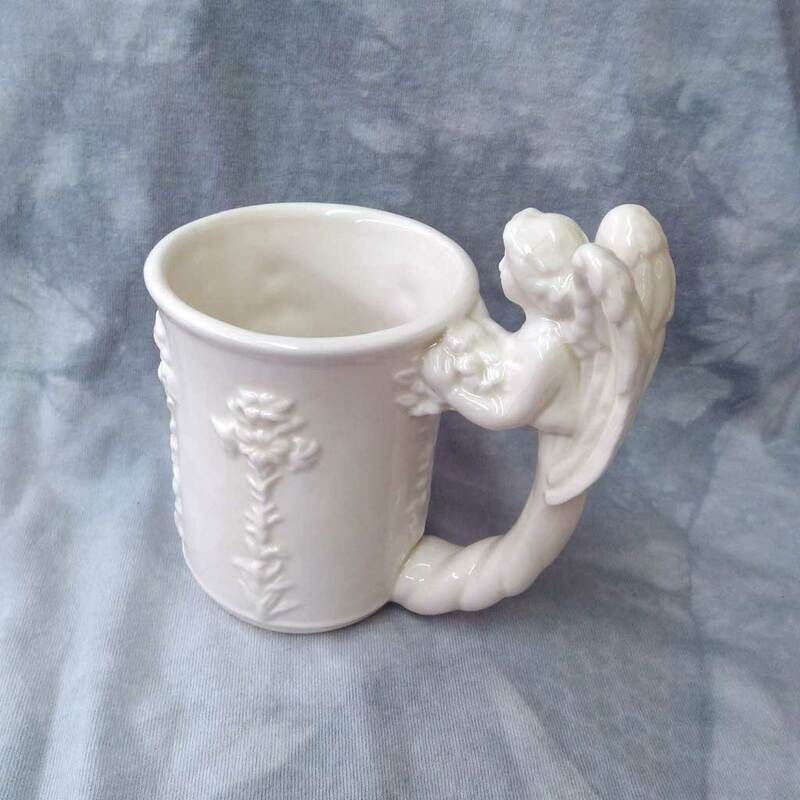 * This item does have minor crazing in the surface glaze.